Microsoft Azure provides working professionally with the boundless opportunities for scaling their career as a software developer. Thus we with this aim are here to provide you Azure Course in Bangalore. Moreover, syllabus as well as course outline at Besant Technologies are designed in such a way that it would definitely help you enhance your skill set trailed by a huge amount opportunities in the corporate world. Furthermore, we have highly skilled as well as proficient trainers in our institute who have experience of working in some of the top IT companies due to which, our institute is referred as one of the best Azure Training Institute in Bangalore. After the completion of our Microsoft Azure Certification Training in Bangalore, you will definitely boost your expertise and acquire your dream job at your desired organization as you will proficient enough in Azure skill. We can guarantee that our Azure Training Institute in Bangalore can enable you in becoming proficient in on-demand as well as highest paid exponentially growing IT skill along with IT skills wherein the professionals are earning good amount of salary in the industry. We at Besant Technologies offer Fast-Track as well as One-on-One Microsoft Azure Training in Bangalore. Some of the key topics covered in our curriculum of Microsoft Azure Courses in Bangalore include Microsoft Azure Architecture, Cloud Computing, Microsoft Azure Service Bus, Azure Access Control Service, Microsoft Azure Administration, Microsoft Azure Features, Publishing Azure Solutions, Microsoft Azure Storage & queues, Microsoft Azure Caching, and Microsoft Azure Media Services. Moreover, a demonstration for all these topics will also be done with practical examples along with strong theoretical concepts. If you’re aspiring to attend a 100% job guaranteed program then a Cloud Computing course like Microsoft Azure training in Bangalore promises you a bright career ahead. The faculty is formed by a group of proficient experts working in the same domain for years. By attending the 30-hour course, you can have a guaranteed placement which is a plus besides enjoying the flexibility of choosing study hours per your conveniences. The Microsoft classroom Training is strategically designed where you can either attend a one-on-one or a virtual classroom with many students. The Azure cloud training syllabus is also comprehensively designed. The best Microsoft Azure training center in Bangalore has proved their efficiency in building the careers of thousands of career aspirants by ensuring them proper training and guidance. By attending one of the best Microsoft Training courses in Bangalore, you can establish an excellent career for yourself. Choose the centers offering Microsoft training which become easier for working professionals as well as students to attend the course along with doing their own jobs. When selecting the course- know about the course duration, syllabus, certification, and the guaranteed placement services. Microsoft azure training with certification will embark you to greater career ventures. Besant Technologies provides flexible timings to all our students. Here is the Microsoft Azure Training in Bangalore Schedule in our branches. If this schedule doesn’t match please let us know. We will try to arrange appropriate timings based on your flexible timings. Know about the placement they provide on achieving the Microsoft Azure training with certification. Compare the rates and select the training center asking for an affordable fee cost with outstanding support. Azure is the cloud computing platform of Microsoft, first released on February 1st, 2010. Azure cloud is adopted by many businesses globally from large to small as it ensures the privilege to build, deploy, manage and test their applications by selecting their favorite framework and tools on the global network. 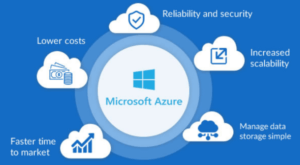 Why should you enroll for Microsoft Azure Training? By attending one of the best Microsoft Training courses like Azure- you can step ahead to establish a strong career in the upcoming days. With the growing interest of cloud computing- most IT companies are looking ahead to welcome onboard trained individuals on Azure cloud technologies. Enroll for an Microsoft azure Certification training in Bangalore that stands by the students’ side from teaching them theory to practical, guide them in doing the assignments and acquire the certification. With excellent faculty and support, they help the students in getting the placement by providing them suitable job interview questions on Microsoft Azure. Knowledge of one or more supported development languages like .NET, Node.JS, PHP, etc.